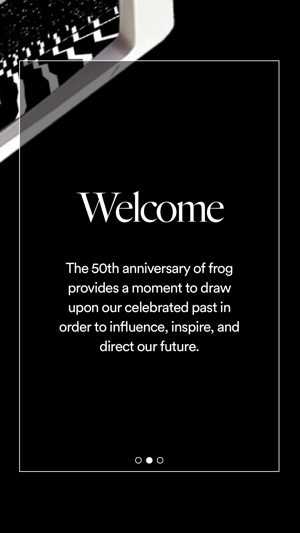 2019 marks the 50th anniversary of frog. This occasion provides a moment to draw upon our celebrated past in order to influence, inspire, and direct our future. 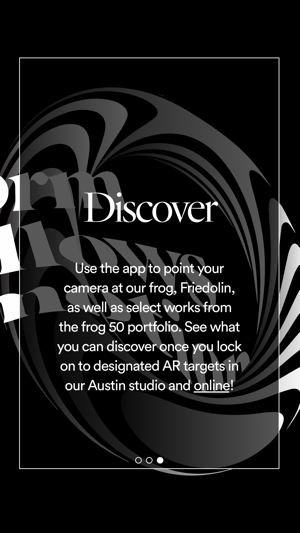 Use the app to point your camera at select works from the frog 50 portfolio. See what you can discover once you lock on to designated AR targets! 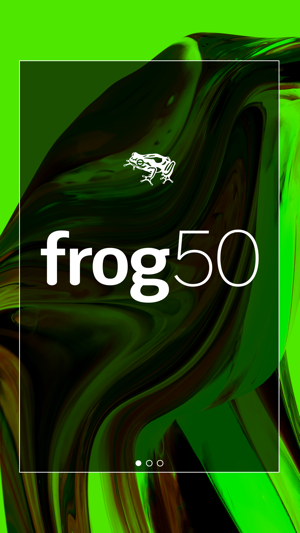 Stay tuned as we will continue to release new AR experiences and additional frog 50 content throughout the year. 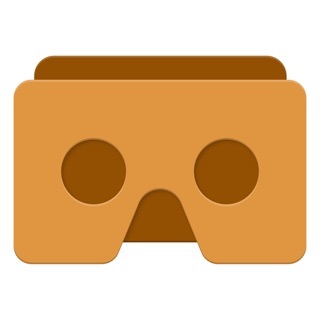 We've made some optimizations and improvements to the onboarding experience. Tap on the the frog at the top of the screen to access additional information. Wonderful app development here. Clean and functional and engaging. Inspiring design and a great way to understand the inspiration behind an iconic company. 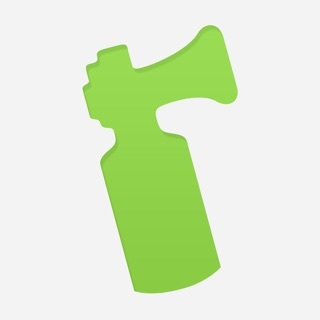 Love everything about this app, the UI, UX. Super clean and run smooth as butter. And, great typography choices too, pure pleasure. Frog really knock it out of the park, again. © 2019 frog design inc. All Rights Reserved.